KB Journal is sponsoring a joint study to be published in its Spring 2007 issue. The study will canvass the Bush Administration’s response to criticisms from officials who have left the Executive Branch. It will apply Burke’s concept of scapegoating to an assessment of how the Bush Administration explains its rejection of criticism from those whose credibility it formerly touted. Examples include, to name a few, former Treasury Secretary Paul O’Neill, former Faith-Based Initiatives assistant director David Kuo, and Former Secretary of State Colin Powell. Essays will be short: 1000-1500 words. All essays will be combined into a single paper, with an introduction by Ed Appel. All contributors will be required to participate in a post-publication discussion about the papers, comparing and contrasting their findings, and considering implications of the overall project. Each author will be credited for his or her contribution as a multiple-authored essay. 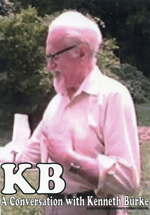 Ed Appel will accept self-nominations for contributions to the project, will serve as editor for the final paper, and will coordinate the post-publication discussion, which readers of KB Journal are encouraged to join. He can be contacted at Edappel8@cs.com. Consider this an experiment. This is an attempt at joint research that promises to allow Burke scholars to quickly assess the rhetorical landscape of political discourse, with the aid of many hands. If we succeed, we will pursue similar ventures in the future.